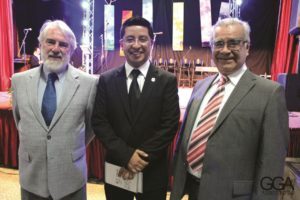 José Antonio Rincón and I were invited by Leonel Otero Cabarique, President of the Gustavo Gómez Ardila Artistic Corporation, to the Gustavo Gómez Ardila International Choral Festival of Bucaramanga. We gave workshops and lectures there and, together with Eliana Sarmiento Gómez, we acted as adjudicators in the competition which took place in the beautiful city of Zapatoca between 1-5 November 2012. The city of Bucaramanga is situated in the Cordillera Oriental Mountains, one of the three mountain ranges that make up the Andes. It is characterised by its university life and an enviable range of cultural activities; in addition to the choral festivals, there are also puppet festivals and festivals of theatre, piano, jazz and skating. This sixth International Choral Festival took place under the auspices of the University of Bucaramanga which provided the necessary rehearsal rooms and lecture theatres. We stayed, with other teachers and conductors invited by the University, in the old ranch house whose grounds also house the School of Gastronomy. The University Campus is on what was the original estate which stretches down towards the valley. The Chamber Choir of the University Foundation Juan N. Corpas of Bogotá and the Iuventus Youth Choir of the Sirenaica Foundation of Medellín took part in the competition. Both choirs reached a very high standard, the quality of their work being demonstrated by the fact that both obtained more than 83%, with only three marks separating them. There was also a prize for the best conductor and this was awarded to Jorge Alejandro Salazar, conductor of the Bogotá choir. Sadly, the other choirs taking part in the festival did not participate in the competition. The vocal group Siete Palos from Mérida, Venezuela, led an interesting workshop demonstrating how to transform the human voice into percussion, guitars and brass instruments, so as to develop an excellent technique for this type of singing. The second phase of the festival took place in the beautiful, tranquil, colonial city of Zapatoca, where every house was adorned with geraniums. It was made possible by the invaluable collaboration of the Municipality of Zapatoca and the Teatro del Instituto Técnico de Santo Tomás. José Antonio Rincón and I stayed in Cesar and Angela Ardila’s family home; an old house very tastefully decorated in genuine colonial style. 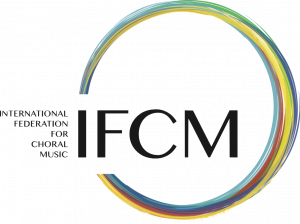 One of this festival’s key aims has been to raise awareness of choral singing for vulnerable children. A programme of concerts to demonstrate what was available for them took place on the morning of Friday 2 November. We observed skilled teachers taking part in the project and were struck by the joyful way the children were encouraged to take part, the teachers ensuring repertoire remained within their capabilities. Some teachers I have witnessed elsewhere attempt ‘serious’ repertoire which does not take into account the abilities of the group, leading to frustrated young singers and teachers who feel these children ‘do don know how to sing’. Fortunately, this was not the case with the present event. One of the choirs presented a programme of unison singing that was so musically and beautifully expressed no knowledge of specialist techniques, complex melodies or close harmonies was needed to appreciate its beauty. What we heard was nothing more than music, wonderful music. Many of the pieces that were performed were based on the traditional music of Colombia, something with which the children identified completely. The second choir, which was a little more experienced, presented equally simple and beautiful works in two and three part harmonies, an ideal selection then. This movement, very much in evidence in Latin America, concentrates on vulnerable children. Venezuela is the country that has achieved the most success in this respect; its network of choirs and orchestras for children and young people, known as ‘el sistema’, was founded by Antonio Abreu over 27 years ago. Many other countries have followed suit and more and more conductors have joined forces in this great cause. 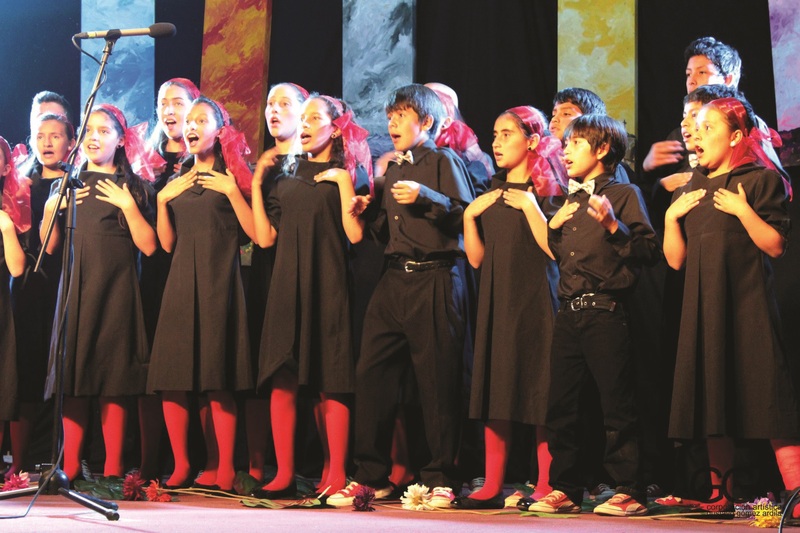 Countries like Chile, Argentina, Brazil and Mexico, as well as Venezuela and Colombia, also believe that choral singing is a useful and effective tool for the social inclusion of vulnerable children and young people. The International Choral Festival Gustavo Gómez Ardila is a welcome addition to this laudable movement which we share with such enthusiasm.